The title of today's blog was inspired by how I see my son. Last night was an emotion-filled night that ended with my son bursting into tears and falling apart. Sitting in the living room was his father, me and my husband. I wanted to run to my son and put my arms around him. But, I remembered at the Al-Anon meetings that I've been to-- I need to let my son cry. We needed to let him release his tears. We needed to let him sob and say whatever it was that was tearing him up inside. The night ended with just my son and me-- both crying, both saying how much we love each other. I feel as though my son is a beautiful bird who has been caged by his addiction. My son is falling apart, emotionally. He is less than a month from turning 20. He is so young, so naive and he is nowhere close to being able to making it on his own. 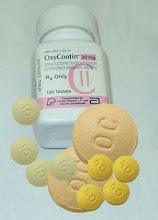 It has been 8 months since I learned that my son has been addicted to oxy-contin for quite some time. Over these last eight months, my life has changed in a way that I never imagined. I am trying to learn how to understand the mind of an addict. This is a task that is daunting-- considering that medical science is still trying to learn how a "normal" brain functions. For most of my life, I viewed addicts as "lost souls". I felt both sorrow for addicts and disdain for them. My disdain was towards the addicts who look the "stereotype"... the ones who are in the bad sections of towns... the ones who look homeless...who scrounge for money and wheel their stolen grocery carts, loaded with their earthly possessions. "They" are the ones who are arrested for breaking into people's homes to steal anything that they can lay their eyes on. Now, my stereo-type view of addicts has taken on an entirely different view of them. That's because my own son is an addict. When I attended the four week classes at his treatment center, my stereotype of what an addict looks like changed forever. The meeting room was filled with men and women of all ages. I could not distinguish who the addict was from who the non-addict family member was. It wasn't until each of were asked to give our first name and that the addicts were revealed to all of us. My jaw dropped when an "executive" woman stood and said "My name is ____ and I am an alcoholic". Or, when an elderly man, who looked meek and innocent said "My name is _____" and I am a heroin addict. That is when I realized that addicts look just like me...just like your school teacher...banker...doctor or child. They all have different stories. They can function in life, even though they are using. That's what my son did so well, for so long, that I did not see what a mess he was in. I have been angry at myself, my ex-husband, his drug dealer. I have felt indignant, hurt, among other things. Addiction has found a place in my very heart and soul. My only son is a mess, because of his drug use that has been going on since he was in middle school. He has been using drugs for six years, starting with smoking weed. He has progressed to opioid addiction. In the last eight months, I have been bombarded by so many "experts" that I feel so vulnerable and confused. I have read books, articles, blog sites...I have been to meetings, spoken with parents of addicts and even addicts, themselves. Understanding addiction is as challenging as people discussing religion. Addiction is a topic that evokes so much passion and so much judgment. It is so overwhelming to me, at times. Yet, I cannot look away. I have been angry at myself, my ex-husband, his drug dealer. I have felt indignant, hurt, among other things. My son has been with me for three days. Last night, was a turning point for me-- as his mom. This is hard for me to explain, but I'm going to write how I feel. I am taking a risk, because there are people who are reading my very personal thoughts right now. I need to stay focused on educating myself as much as possible. I have to accept that my son is living in hell, right now. I have to find a way to explain to my loved ones that my son is incapable of "tough love" isn't as easy as they so breezily tell me I need to do. Tell me-- what would you do if it was your own son or daughter who is in such a dire emotional mess? Let me give you an example-- my son had his cellphone stolen. Yes, he was irresponsible by leaving it unattended for a few minutes at a busy train station. But, wait-- that's what you and I see. Can you put yourself into my son's position? He's a mess-- emotionally. He is not capable of thinking the way that we non-addicts do. he doesn't have the capacity to think rationally. Is he crazy? Is he bi-polar? Does he have ADD? Or, do you believe that there is no such thing? Believe me, I've heard so many facets of mental illness. I've heard that it's Satan...it's a chemical imbalance... pills can help...pills won't help. But let's go back to his stolen cellphone and "tough love". Do I say "suffer the consequences" and he goes back to San Francisco in his messed up emotional state? Or, do I give him my spare cellphone, knowing that this is his only lifeline to his family and friends? As his mother, his cellphone is the only way that I can find peace of mind. Just a simple text message from 120 miles away gives me a small sense of comfort that my son is still alive. I cannot imagine what it would be if my son was to just "disappear". I think about the book by David Sheff, "My Beautiful Boy". Just reading this father's story of his son's addiction to meth (in the very area where my son is living) describes the pain of watching your precious child struggle with addiction. "Tough Love". It seems so simple and logical, doesn't it? Make your child suffer the consequence. But, you see, it's not so easy when it's your very own child. It's even tougher to "tough love" when your child is not a thief. Once in a while, my son spouts of the "F" word at me. He uses lines like, "What the F do you want me to do?" He's even said "Shut the F up" to me." I hate it, and I remind him that it is not acceptable to me. But, that's the worst that I can say about him. He is not a violent person, either. He's as tender-hearted as a kitten, truth be told. I am doing my hardest to not enable my son. Yet, how can I not help my son to buy groceries? And what about paying for him to have a safe place to sleep at night? I've been told to let him become homeless, so he'll hit rock bottom. Think about it-- if it was your own son or daughter, could you really have the strength to do it? Could you? If your own son or daughter wasn't a criminal or every laid a hand on you? Could you? So here I sit, on my couch with my laptop. I've driven my husband away, begging for the peace and quiet that I need to try and write this post. I know I ticked off my husband, and I feel bad about it. I haven't left my house in two days, because I am desperate for peace and quiet. I am apologizing to him, often, because my son's addiction is affecting our marriage. We have a great marriage, but we need to get into counseling-- we both agree that we don't want out relationship to suffer. The last few days have been stressful for everybody. It's noon, and my son is still sleeping, just down the hall. He looks peaceful in his sleep. My husband graciously offered to take my son to hit golf balls. B adores playing golf, and he's pretty darn good at it. Afterward, my husband dropped B off at his father's house. The plan was that B would visit with his dad for a few minutes. He used my husband's cellphone to call his sponsor and B was overheard saying they'd go to the 5:00 meeting. B's father, stepfather and I began to compare stories. Helter Skelter got worse, and the three of us surmised that B had lied to us. Emotions got charged, and in two hour's time, we all felt as though we were deceived by B. I was so angry that I was ready to pack him onto a Greyhound bus the following morning. Please understand that my emotion is not about being "controlling". My emotional reaction comes from fear-- it comes being torn between the logic that an addict will "use" no matter what I say or do. I cannot control it. Still, he is my son and I cannot bear the thought of another setback of him buying heroin to smoke. B finally called me, and he put his sponsor on the phone. His sponsor verified that B had, indeed, gone to a meeting. They were at Starbucks, working on Step 1. Thirty minutes later, that is when my son came home (driven by his dad) with red and swollen eyes. That brings this post back to where I started. My son is in dire need of professional help. I will do everything, in my power, that I can to help him find it. My son admitted to all of us that he feels so messed up "inside his head" that he feels hopeless. He sobbed that he feels he has let so many people down. He feels like a failure. He admits that he has no desire to get out of bed and that he is clearly depressed. He says that he is physically incapable of doing the simplest tasks. He said that trying to hit one bucket of golf balls was almost impossible. In the end, my husband made an honest mistake. My son did not lie. Ouch. You see? As the loved ones of an addict, we cannot help but to feel affected. It's the lies that makes us overreact. My husband apologized to B, but I do not doubt that my son is hurt. So, I ask you (faceless readers)... what can I do, as a mother? I was ready to put him in my car to check him into our local hospital. He rejected that idea, saying that he could not handle the defeat and humiliation of going into a psyche ward. Again...what do I do? What can I do? Tears in the rapids... I heard an analogy at a Celebrate Recovery meeting that I attended. A woman said that at times, she felt like a bird who was perched over a tiny branch above a rapid flowing river. She compared that branch as God, holding us over the rapids. This morning, I thought of my son and of him being that beautiful creation from God's own hands. I also thought to myself... how my tears are lost in the rapids. My pain and my sorrows are not alone. Just reading my newspaper, I am appalled that a man was trampled to death when a stampede of early morning Christmas shoppers at Wal-Mart got out of control. I read about the situation at Mumbai, and how a local Rabbi lost his cousin and wife to terrorists. The world is not an easy place to survive. But, I hold to God's promise that he is with those of us who believe in Him. Despite the stress of my son's situation, I am not without hope. Someone wrote a comment on my blog..."what is normal"? That's a question as deep as the ocean. To me, I find that my personal relationship with God is gives me a sense of peace..normalcy. I do not blame God for my son's situation. Instead, I thank God for his mercy. I lean on God's holy word, prayer, my church, my husband (my love, my best friend, and kind-hearted person) and a few treasured friends. They give me encouragement. Ultimately, it is my love for Jesus...my Lord and Savior, that gives me joy. To me, my life feels normal when I feel God's peace and the joy that He brings. I feel "normal" when I can smile through my day-- to overlook the demands of my job...a difficult parent or a job deadline. I feel normal when I wake up next to my husband and I feel his loving touch. I feel at peace when I can come home, and find food to prepare a meal. I feel at peace because I no longer have bill collectors calling me... I feel peace when I am alone, with myself. I don't have voices in my head that tell me I am worthless. Despite my sorrows, I can still rejoice that God loves me, he has a purpose for me. He has given me compassion for others. He has forgiven me for the things I have done. God has given me the vision to see my blessings. He has shown me how my blessings far outweigh my trials and tribulations. I pray for any and all of you, who feel that you have no hope or joy in your life. It is a dark and lonely place to be. Maybe God fill you with His glorious presence. My son is here. I picked him up on Wednesday night. That was a fiasco all of it's own. Do I start with the frantic phone call that he lost his "cash" somewhere in his apartment? So, I transferred $20.00 into his account to cover his taxi and train fare. My son called me, on a different cellphone, while I was within 10 minutes of the station (a 90 minute drive for me). His cellphone got stolen. Why? He left it "for just three minutes" by his luggage while he used a bathroom. It scares me how my son can't seem to function on his own. It didn't make me mad. It made me feel... how can I put it into words... sorrow. I waited for different trains to arrive, and I spotted him. He's tall, so I can usually spot him in a crowd. He looks good, though. Yes, I was happy and relieved to see him. We got off to a rocky start, because I said to him that his drama is exhausting for me to deal with. He gets really upset when he feels he is being criticized. It's so hard, at times, to not say something. I bought him dinner at the Olive Garden. He hadn't eat like that in a long time, I am sure. He slept the rest of the way home. Thanksgiving was wonderful and we were all together as a family. I did notice that he would wince, or I'd see his legs "jerk". As a mom, I could see that he isn't well at all. My son is taking suboxone that he is buying from friends. That worries me, sick. I need to get him in to a doctor who specializes in addiction. I see in my son that he just lays in bed. He's depressed and he's sick. I can see that my son is far from being on his way to recovery. I discovered a website, and I'm finding so much valuable information about opiate addiction, buprenorphine (suboxone) and other information. There is so much information, that I am going to post the link. My son is at a meeting, in town. He's is with his sponsor. That gives me some comfort. I hope that this helps my son to talk to someone who understands addiction. His sponsor has 17 years of sobriety. As a mother, I cannot describe how much it hurts to see my son struggling not to use heroin. He has a really tough battle ahead. I'm going to do all that I possibly can to find the resources for him to get help. I'm open to finding a physician who can help treat my son with it. Here's the link to the website that I found. I started to write you and let you know that you're on my mind. Then I decided I should read your blog and catch up. Well, I just did and my heart is heavy for you. I saw on your blog, that you may be getting judged by some who have read it and disagree with your approach. I hope those messages are being sent with the right intent and are not rude or intended to hurt you further. People can disagree, misunderstand, misinterpret, or just plain hate how you're handling your situation. But no one knows what they would do in the same situation. I do want to share some of our experience with you, Debby. I'm not saying that what is right for us is right for you and B, but I want to share some things with you. My son is 27. I'm not sure, but I think yours is considerably younger. I think this is significant. My son has often said that he doesn't think he could've been successful in rehab when he was 19 or 20. I may or may not have told you, but he went from rehab to a sober living apartment in Dallas. Well, this place was in a horrible part of town. In addition, it was surrounded by drugs, addicts, and dealers just waiting for someone to get weak. Well, my son did. Not only did he buy cocaine....for the first time in his life, he was arrested. He was stopped and searched and spent the weekend in jail. In all his years of drug use, he'd always eluded the police. This was a MAJOR wake up call for him. Not only did he spend the weekend in jail, but he was forced to tell me what had happened. He had only been out of rehab about 30 days and I was DEVASTATED! I did something that the experts advise against, and I paid for a lawyer. I'm sorry, but I'm a mom and I couldn't bear the thought of my son going to jail. Besides, I knew that he was going to have some sort of punishment that would likely include probation and drug testing. That arrest probably saved his life. Yes, I paid for the lawyer, but since that arrest he has turned his life around. In rehab, they told us over and over that relapse is part of recovery. Thank goodness they did. Otherwise, I think I'd have felt completely hopeless. But, it is, Debby. It is part of the process. I know your son is really struggling now, but I also know you're not giving up on him. You're a strong lady and I admire you greatly. B is lucky to have you for his mom. Now, here's the bombshell. My son went to La Hacienda for treatment. This is one of the top facilities in the country. You may have heard of it, as Dr. Phil sends lots of people there. Believe it or not, THEY BELIEVE IN SUBOXONE FOR OPIATE RECOVERY. I had the same opinion about it that you did, Debby. But, after that arrest, I went with Jeffrey to his outpatient program and talked to the Dr. and Psychiatrist about it. I was and remained convinced that, though I'd rather that he be completely free of any prescription drug, opiate addiction is very psychological, as well as physical. It is, arguably, the hardest addiction to kick. My son does take suboxone, under the direction of a doctor. I believe that they will take him off of it in the time frame that they see fit. But, Debby, he works, goes to meetings, goes to therapy, and is back to being "my son". I HATE THIS ADDICTION AND WHAT IT'S DONE TO US AND OUR KIDS. I'm not thrilled about the suboxone, but I trust the professionals at La Ha. Maybe it's the lessor of the evils right now, but it's working! One other thing I don't know if I've shared with you is that my son was diagnosed, at La Ha, as bipolar. My understanding is that many addicts also suffer from a mental health disorder. Have they ruled that out with B????????????? I can look back on Jeffrey's childhood and see times I should have know something was wrong. He has always been the sweetest kid. He and I were always close. But there were times, like when he was around 6 or 7....he got angry for no particular reason, went to his room and cut the legs off of all his pants. He once decided to run away for no reason and just took off down the road. These episodes were rare, but extreme when they happened. I always wrote it off to anger over the divorce. I now see that the behavior was out of the ordinary and I should've looked into it deeper. You say B self-medicates. So did Jeffrey. He did it to escape the "dark whole" he found himself in some mornings when he woke up....for no reason at all. He was just terribly depressed and self-medicated. He would tell you that his intention was never to get high......it was to feel "normal". I believe the bipolar meds do that for him now. Whatever it is, he's back and I'm so thankful. When it's time, the doctors will take him off the suboxone. I hope soon, but it's out of my hands. I just wanted to share these things with you, so that you'd have something to think about. Once again, I'm not suggesting anything in particular for you and B. Just wanted you to hear our story and see if anything connects or helps you. Happy Holidays to you and yours. You are, as always, in my thoughts and prayers. Last night, I realized that I allowed myself to feel “beaten up” by a comment that was left for me. Then I realized—these are my insecurities resurfacing…my knee-jerk reaction to defend myself when I feel as though I’m attacked. Today, I realized that the person who left a comment to me is a stranger—someone who doesn’t know me. I was taken aback at the comment that I need to accept my son for who he is—now. I don’t know why I felt offended, or misunderstood. I’m okay, now, but it certainly made me doubt myself and how I am handling my son’s situation. Finally, I have to remember that there are no fool-proof and clear-cut solutions or answers for parents who have teenagers/young adults with addictions. The best that I can do is to be receptive to opinions and advice that people have to offer. I have to be open-minded, and to try and digest their wisdom. I need to consider the source. Is the advice coming from an addict in recovery? Or, is it coming from a parent who believes that their child has never, and doesn’t presently, use drugs. I have heard countless stereo-type answers to why kids use drugs (remember, I work at a high school in the counseling office). I’ve heard “It’s the parent’s fault”; “It’s your Exes Fault”. I have been told that my son was spoiled, enabled, coddled and many other things. Yes, it has hurt my feelings. I say to those people—each child is a unique gift from God. As a mother, I admit that I could have done things differently with my son. I wish that my marriage didn’t fall apart. Undoubtedly, the divorce has left a huge impact on my son. I could dig deeper, and say that I wish I had heeded the parenting advice for parents of teenagers—pick your battles carefully? Sometimes, I think that I went into battle with full armor, determined to win. That backfired, many times. But what I do know is that I have tried to raise my son with good values. I have tried to live my life to reflect my faith in God—in essence, I have tried to “walk the talk”. Am I perfect? Nope. But, I’m forgiven, and that’s all that matters. When I say that I want my son back—what I am really longing for is to have my son see that his addiction is a very deceitful disease. I say that, because my personal experience with alcoholics and addicts has involved a lot of lying—to get the money that they need to get what they must have. He has lied to me a multitude of times, so my trust in him is pretty non-existent. I’ve heard it said that addiction is a choice. I disagree. I do not, and I never will, believe that my son CHOSE to become addicted to drugs. 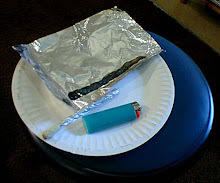 The circumstances that led my son to smoke weed, and then progress into using cocaine and then on to prescription pills is a story I have not shared in this blog. It is his story to tell. My blog is my story to tell. It still remains my hope that I will hear from other parents, or addicts, who can share what they know…what they long for… to help me to understand, better, how to help my son. Ultimately, I know that it is only my son who can learn to control his addiction. I am also, painfully, aware that if my son does not get a handle on his addiction that he could die. It’s like that. I have just a short amount of time to respond to two comments that were left for me. First, and foremost—thank you! I am very “learnable” and I am very appreciative of any constructive criticism or advice. What I might not have recently conveyed (I have been journaling about this for six months) is that I am fully aware that there is no cure for addiction. I agree, that it is unreasonable to expect my son to stop. He can’t. I believe that my son can only learn to “control” it. I have accepted that he will battle this for the rest of his life. The 12-Steps is what his treatment center follows and I think it’s a good plan. My son needs a sponsor and to go to meetings. While it might seem to strangers (who are reading this blog) that it appears “I want my son to be the kid that I want him to be” I think I’ve been misunderstood. I am grieving the loss of the kid that I once had. I have seen how his addiction has changed him—the lies, manipulation and his lack of motivation (he’s been fired from every job he has briefly held). I do not think that my son is a bad kid. He’s my joy. But, I have been living each day worrying that my son is okay. He’s been carjacked, robbed and mugged. He can’t manage money and he can’t be trusted with money. He’s wrecked his car three times. I know that my son’s addiction isn’t about me—but it has affected me. I wake up, at night, praying that he’s okay. I miss him. I cannot imagine that the life he has now can be a happy one. He is depressed. I am grieving for my hopes and dreams for this kid. I wish he was living at home, with me, and either holding down a job or going to school. It’s hard for him to make ends meet, and I would love to help him. But, I can’t! What would make me happy is to see my son being honest about his addiction. He is trying to detox himself in his own way. He is not following the recommendation of his treatment center. He is in denial. He is still using subutex (that he buys from friends), and prescriptions drugs to help him sleep and for anxiety. He is also a Type I diabetic. He has fantastic medical insurance (that we pay for), but I can’t get him to see the doctors he needs to help him with his diabetes. He won’t take care of his teeth, even though he has dental insurance. Do I sound nitpicky? Think about it— I care about my son’s health and mental well-being! What my son does with his life (career-wise) is entirely up to him. If he chooses not to go to college, it’s not for me to force this on him. (He’s dropped out, twice, at my expense). The scariest part for me is that I cannot afford to support him. I don’t have the money. So my quandary is where does my son go from here? All the drug experts tell me that I should NOT let him live with me. He can’t live here, because this is where he knows how to find the drugs. He won’t get a job and I can’t deal with him lazing about and hitting me up for money. It’s all so complicated. No matter what—I am trying to be the mom he can call when he’s upset, angry, afraid and confused. I’m learning to keep my voice patient and soothing. I don’t want my son to be afraid to talk to me. So, I take each day with a deep breath and prayer. I just hate those calls in the middle of the night. They are never good news. I’ve had my share of them. Suboxone...yes, I am fully aware of that drug. For those of you who aren't, I'll dig up the link that I found that will educate you on the medical aspect of it. In essence, suboxone is designed to "neutralize" the receptors so that the effects of opiates won't work on that addict's brain. However, it is a band-aid and my son has and is taking it. Therein likes the root of my son's struggle to stay clean. I have read countless medical studies on this-- and I think that, (like methadone) it's not the solution. The danger in subutex and/or suboxone is that addicts use this to "chip". My son admits that he did exactly this. "Chipping" means that he'd use oxy or heroin and then use suboxone to avoid the withdrawals. My son is in a vicious cycle of addiction. He is lost in the depths of depression, hopelessness and his brain's constant desire to want to "use". My son self-medicates himself to escape these feelings. I have received anonymous emails from people who come across as seeing me an insensitive to my son's dilemma. I would not be blogging my feelings in such a public way, if I did not care for my son as much as I do. It is very hard for me to find a separation of my son, the "just turned 20 year old" and my son "the opiate addict". I have to work hard to separate his reckless behavior as being typical teenager immaturity and addictive behavior. I am going into counseling with my husband. I feel myself heading into an emotional breakdown because of my son's addiction. While I cannot understand the pain of an addict, I am feeling the pain of a mother who is watching her son live a life that I can only describe as "pure hell". The only time that I can feel "joy" is to shut down talking about him. This is not healthy. I've tried to find a support group that can help me-- but there isn't one in my area. Al-Anon doesn't help because my son doesn't have an alcohol addiction. I tried my local Celebrate Recovery group, but I haven't met one other parent who shares my situation. I am in prayer about this. My son needs more than a band-aid. He needs to be free of all prescription drugs. He has a long struggle ahead of him to do this, and this will be his lifelong struggle. Emotionally, I’m having my ups and downs. My son is not doing well at all. I think he’s struggling to stay clean. Opiate addiction—-especially to oxy-contin and heroin is one of the most difficult addictions to try and control. Meth is worse. At least my son hasn't turned to meth or IV heroin. The statistics aren't the issue. My son is an addict, and he always will be. I hate that. It makes me mad and I feel so helpless. My husband has been a supportive step-dad. Though he hasn't been in B's life long enough to feel like a "dad", he loves and supports me...his wife and B's mom. We both share similar emotions-- we both feel compassion, sorrow and frustration for B. B called me yesterday. His bank account is messed up...again. I don't know how to help him learn how to manage his money. I have tried everything I can think of. It's so complicated, but he keeps using his debit card instead of going to his bank ATM and withdrawing cash. He doesn't understand that banks will HAPPILY approve debit purchases-- even if there isn't enough money. That way, they can charge you $35.00 for overdrafting and $5.00 a day until you pay it off. So, B used his debit card to purchase $3.00 worth of stuff-- that cost him $38.00 plus $5.00 a day. He lost $100.00 in one day! I keep telling him to only use the ATM...but, still, he doesn't heed my advice. I confess-- I lost it. I got so mad at him, that I flew off the handle. This was not the right way, but I hit the ceiling. What do I do? My dilemma is having my son living 2 hours away-- he has no job and he is struggling with his body's craving to "use". He needs food. He's a diabetic. I help him with just enough money for that and nothing more. But he blows that by not understanding that banks are a business. They don't care if you're young and you make a stupid mistake! I know the drill-- he has to take ownership of his addiction. He has to work the program. I can't enable him. But, he's still my son. I love him. I always will. He's so young. It breaks my heart to hear his voice sounding so distraught. I can't take it. I'd hate to be inside his head, right now. It must feel lonely and chaotic. I miss him. I want him home with me. It's just that his addiction is evil. His addiction lies to him and makes him lie to me. I want my son back. I want to help him. I can't. I feel helpless to help him. Hopefully, I will have him in my home for Thanksgiving. Then, we can talk. I am not losing hope. I am feeling pain and sorrow. But that will pass...prayer and God. His yoke is heavier than mine. I give it you to you, Lord. My Rock and my strength. I go to sleep no later than 9:30pm. So, when the phone rang at 12:30am, I was filled with dread and fear. As soon as I sleepily said "hello", my son blurted out to me "Mom, you wont' believe what just happened to me!!" "Tell me', I thought in a total panic. "I just got robbed by knifepoint." As a mom, let me stop right here. Images of my son's photos, in my hallway, flashed into my head. My son's elementary school picture-- with his then golden blonde hair neatly combed and gleaming brace... his high school photo of him, standing tall with a beautiful smile. That's what flashed into my panicked mind-- that someone had endangered my precious boy. Mama Bear's cub was attacked and I went into protective mode. I was instantly awake and I could hear his voice trembling. Again? What is going on in my son's life? February 2006, he was carjacked and robbed. Months later, he was robbed at gunpoint (though I wonder what missing paragraphs are in this particular situation0. This year, his car was totalled on the freeway. A few weeks later, he had another car accident with minor damage. A few weeks ago, his car was totalled by an elderly man--this time, it was not my son's fault. Last night, he was robbed at knifepoint in an alley in San Francisco around midnight. Why does so much drama happen in my son's life? Yes, I know... what in the world was he doing in the wrong place, at the wrong time? B is a Night Owl. He said that he was hungry, and that he walked down to Subway Sandwiches (he has a gift card from me). It was closed, he found out once he schlepped down the hill. On the way back, he says a big "dude' came out of a dark alley and showed the knife and demanding his wallet. His story reminds me of the classic movie "The Out of Towner's" with Jack Lemmon. If you've seen the movie, then you know what I'm talking about. It's about a married couple from Ohio. The husband is flying to New York City for a job interview-- but nothing goes right. They are robbed, conned and go through all kinds of nightmares. Obviously, my son has a lot to learn about living in a bit city-- and he has a lot to learn about carrying ALL of his cash with him. He had just cashed his weekly allowance (from his trust account) that would pay for his groceries and a monthly bus pass. What could I do? I laid in bed, wide awake, and thanked God for sparing my son's life. For a moment, I wondered if my son made up the story. But, my motherly instinct could tell that he was not faking this one. Just like when he was carjacked-- I had a close friend accuse my son of faking that so that he could get a new car. His story never changed, even with police investigators. In the end, one of the perpetrators confessed to the crime. My son's story was true. I am discouraged, in reading today's newspaper. Unemployment is higher than it's been in 16 years. We are in a deep financial crisis and feel so blessed that I have a job. I am unsure what my son's future holds. Is he staying clean? I have no idea. He is 2 hours north of me. I can only hope that he's telling me the truth. I don't want to lose hope, but it is so frustrating at all the setbacks and drama that my son seems to be a magnet for. His driver's license was up for renewal, anyway. I cancelled the Subway card. He cancelled his debit card. But, he lost $150.00 in this robbery. Lord, I pray for the person who commited such a violent and desperate act on an innocent victim. Thank you for sparing my son's life. Lord, you saw what happened. I pray that my son's experience will teach him how to take more careful measures in a big city. I pray that you, Lord, will deal with this person's crime in Your own way. One day at a time... I'm just thankful that my son gets another sunrise as a gift of life. Right now, as your mom, I am that person watching a beautiful butterfly trying to emerge from its cocoon. God is watching you, too. He can’t interfere with your struggles, because He needs for you to grow and learn. Whenever I talk with teens, as a leader in my church group—the #1 reason I hear teens say that they question God’s existence is because they feel that God has abandoned them. Last week, out of 14 kids, more than half of them have parents with drug and/or alcohol addictions. These kids are mad at God, for not curing their parents of their addiction. They feel discouraged at the struggles in their life, and they blame God for not helping them. God does not abandon us! Whenever I read the Bible, I read stories about God’s love for his people. Take King David—who is not a fictional “character”. He really existed and nobody can disprove it. King David was an adulterer and a murderer. He was a lousy father. He lost a child, because of his sins. God forgave him, because he loved him. But, King David’s sin (his adulteress affair with Bathsheba that led to the murder of her husband) led to consequences. David and Bathsheba’s child, born out of wedlock, died. From that sorrow, King David returned back to being faithful to God. God blessed him and loved him, despite David’s sins. There are also stories of encouragement—like Job. I think of all the suffering that Job endured…he lost his kids, suffered terrible physical afflictions. His wife, his friends—they all told him to “curse God and die”. But Job would not. While Job cried out to God, “why”, he never lost his faith and love for God. In the end, God restored Job’s life. God has never promised us that our life would be easy. However, God promises us that he will never abandon us. I think that so many of us give up on God, because he doesn’t fix our problems. We feel that he isn’t answering our prayers. Maybe he is? Maybe we are asking God to do what we think he should—but, maybe, that’s not what God has in store for us. Remember, Brian, that what separates Christianity from other religions (or atheists) is that we believe in God’s promise of “Heaven”… a perfect place. God reminds us that the only path to heaven is through Christ Jesus… despite what Oprah Winfrey or any other New Age believers say. This is all biblical truth! Son, we can choose to have a pity party about our circumstances. We can blame everyone else for our sorrows. We can always look back and feel regret for the mistakes that we made. While there is nothing wrong in that, we need to look forward and not repeat our mistakes! There are cultures in which the elderly are revered for their wisdom. While I don’t expect for you to “revere” me, I hope that you can see that I have gained a lot of wisdom about life’s ups and downs. I struggled at your age, too! I made mistakes. I hurt people. I was not always dependable. I forgot things. I broke promises. A lot of that is just youth. It was at your first baseball practice—in middle school, I believe—that I learned the power of forgiveness. I was so bitter and resentful of your stepmother’s role in your life. It was, on that very day, that I took the first step and I asked God to show me how to love her and to forgive her. From that day forward, I found the power that comes in forgiving those who have hurt me. I’ve also found the healing that comes in forgiving myself for the hurt I’ve inflicted on others. I believe that was the day that I truly believed that God is real…because he answered my prayers. He has helped me survive a lot of hardships—my divorces, the death of my mother, and my financial crisis. God has restored my life and I am so thankful! My relationship with God is always an ongoing process. I have times when I feel so connected to Him—when I feel his presence, his strength and his protection over me. I have times when I feel he is so distant and I find myself slipping back into my old ways… judgmental, vindictive thoughts, anger. I know that when I am slipping away, it is because I am not seeking God. Prayer—when I pray, it easy to slip into disguised prayer as a list of things we want God to do for us. I forget to add “confession” to my prayer, first. That’s a hard one, because I have to admit my faults and mistakes to God. He already knows what they are, but we need to confess them to Him. Most importantly, we need to ask for the strength to change our behavior—and that is repentance. Confession without repentance cancels each other out, in my heartfelt opinion. I hope that you can find some quiet time with God, today. If going out into nature is your way—do it! I only hope that you will, at least, thank our Heavenly Creator for all things of nature… I believe, that when we worship nature we are not giving God credit for His work. This is the “danger” of “Universal/Spiritual” ways. I cannot force you to believe in “God, the Father”, “Jesus, the Son” and the Holy Spirit. You have the right to choose. Jesus will not force Himself into your life. Jesus only asks that we answer His “knock” at our heart. You have already received his redemption on the day that you willingly chose to be baptized. You made that choice! Hopelessness is one of the Dark One’s tools. He whispers thoughts into your head that you are a failure…he wants you to not believe in God…he lies…he wants you to do things that bring immediate gratification. He wants you to lie, steal and cheat. He wants you to find “happiness” in things—he wants you to desire money, because that’s the path to happiness. The Devil tempted Jesus in the desert. He promises Jesus things, but Jesus resisted the temptation. How hard that is! Cry out to God, when you are afraid! Go to meetings when you are feeling down. Ask God to find a good sponsor for you. Seek God—seek Him as your Higher Power…and work the 12-Steps. As you work each step, I hope that you will find the strength and courage to fight your addiction. You have at least 30 days of free time to focus on spending time with God. You have time to look for a job. You have time to volunteer to help others (that is so rewarding). You have time to research going back to school. You have so much to be thankful for. You are alive. You have two parents who love you. You have relatives who care about you. You have medical insurance. You have never been homeless. You have never gone without food. You are not in prison. You have clothes. Most importantly, you have God…your Father…who loves you. He forgives you for the things you have done to sin against him—and He promises us that he “remembers them no more”. Be strong in the Lord, Son. You are under spiritual attack. The Word of God is stronger than anything that the Evil One can throw at you. When you are feeling discouraged or hopeless, that is not coming from Heaven. Remember that! God is my strength, my hope and my joy—no matter what circumstances I am in. I pray that for you. It has been three days since I've heard my son's voice. I knew that I was taking a high risk, when I sent him an email. In general, it's easier for women to express their feelings than it is for men. I did not expect for my son to write back...or, if he did, that it would be a long response. What are my expectations of my son? His addiction turned my hopes for him upside down. I had hoped that my son would go to college. I expected him to live with me, while he did that. He has such a passion for golf, that I encouraged him to pursue that. I never expected that my son's life would be one in that I wake up each morning, praying that he is safe and that he's not using drugs. I also find myself wondering if I have met my son's expectations? Does he focus on my flaws? Have I done things to him that he cannot forgive? Does he truly understand that no matter what disappointment I feel about his choices, that I still love him very much? I have asked myself what it is that would realistically give me peace about my son's addiction. I would have to say that my prayer is that he would find peace with himself and a daily relationship with God. Sometimes, I wonder what it's like to be inside of his head. My guess is that there's a lot of "chaos". I recall the burden of having debt and not enough income to make ends meet. I struggled with that for many years, and it was hard to find a sense of peace. For my son, he also has to deal with his addiction-- the constant tempation to "use". Addiction costs money, and he's spent a lot of it on that. I pray that my son could find peace with himself. He has so many wonderful qualities! He's intelligent. He's personable. He has a very loving heart. Today, I should have been waking up in San Francisco and spending the entire day with my son. I'm not there. Instead, I am at home and I am thinking of my son. I prayed about it, and I decided to give my son time away from me because I need to let him figure out some things on his own. This morning, I got an email from my son. Actually, they are the lyrics to a song from Tupac. My son feels a connection to Rap Music. I don't like it, because of the language and the culture behind it. When I see the music videos from famous rappers, I see the materialism and immorality that is being glorified to our youths. It breaks my heart and my son knows it. I know the story of Tupac and I also know that he was shot and killed because of his lifestyle. So, I read the lyrics very carefully. I understand what my son is trying to tell me-- he is trying to tell me that he does appreciate me. That gives me comfort. I just don't want my son's life to end up in the street culture. I don't want my son's life to end like Tupac's. Tupac's life and death has become a legacy of loyal followers. He is seen as a brilliant poet and lyric writer. I can't see the glory in that. I can certainly see the pain in it. My son has not done anything to me that would change my love for him. I believe that he can come back to living an abundant life-- one that God promises to all his children who love Him and who seek to live the way that Jesus came to teach us. My son doesn't have to pay me back-- my payback would be to see him have a successful recovery and to live an abundant life for God's glory. I am desperate to have my son back. I am grieving for the son that I lost to addiction. I have heard your point of view, and I have listened to a lot of blame being put on me. I feel frustrated and helpless. At times, I feel as though I’ve lost my son. I am trying, hard, to learn how to help you but I also have to set boundaries. I wish that I could record the way that you talk to me. The actually WAY that you talk is loud and fast. I feel as though I am constantly interrupted. Inside my head, I am screaming “listen!! !” Sometimes, I feel worn out and defeated trying to have a conversation with you. I feel dominated and overruled, and then I just don’t want to talk anymore. To me, I feel like the faster you talk the less I believe what you are saying. Can you understand that? I am frustrated with how unreliable you are about showing up on time, or returning calls. An example is our trip to San Francisco. Yes, I heard why you were two hours late— and, I predicted that would happen. When we got to San Francisco, you left me in the middle of my lunch. You said you’d return in 10 minutes. 20 minutes later, I had to go find you. I was left, locked out, of your apartment. You didn’t answer your cell phone. Finally, someone let me into the apartment. Yes, you apologized…but why did you do that, in the first place? So many times, you say that you’ll call me right back. The call might come back a few hours later, or not at all. Can you understand that? I have also observed that you have a hard time prioritizing taking care of important things, and I don’t know why. As an example—bank overdrafts. It makes me sad at how many HUNDREDS of dollars you have lost to bank overdrafts. How many times have your father and I made bank deposits to bail you out of this? You promised me that you would not use your bank card as a debit card. You agreed that ATM withdrawals are the only thing you would do—still, I got a frantic call from you to bail you out again. Last night, I did not mean to make your friend cry—the more I think about it, why did you put me on speaker phone? Besides, I wasn’t blaming your friend. YOU are the person who gave her your debit card! Last night, I had a moment of feeling so hopeless. I laid in bed, wondering how you could go through $100.00 in groceries, a $50.00 grocery gift card, a $20.00 BART ticket and $30.00 in cash and an additional $60.00—in five days! My heart is filled with disappointment that I cannot see you getting a handle on how to manage money. That’s when I am reminded that “addiction” is a terrible demon. Last night, I thought back to when I was with “Steve”. I didn’t know the depth of his alcohol and drug addiction for a long time. In retrospect, I can see why we fought so much. We fought because his lies, manipulation and irresponsible behavior did not rest with me. I grew tired of my working so hard, while he couldn’t keep a job. We were always broke, and he was always in need of money to get out some debt he had gotten himself into. I am not the type of woman who can accept that kind of behavior! I wasn’t raised to be that kind of woman. So, that’s why you and I have problems getting along. I am so deeply hurt and heart-broken over this. We don’t see eye-to-eye because we have different values. I am trying to live my life in “The Spirit” and I want to please God. I see you living your life in “The Flesh”. I used to live my life that way, and it only brought troubles into my life. That’s why I had problems in my relationships with men and getting along with people. It was too hard for me to keep up with my lies. I am horrified at the stories you tell me—about people who want to kill you. I am torn between believing it, or fearing it. You tell me these things, so casually. Do you have any idea that terror that puts into me? I could not bear the thought of you dying at a young age. No mother expects to outlive their child. It tears me apart. Most importantly, I pray that you truly mean what you said to me, last week. You said that you wanted to finally be honest—to yourself and to everyone else. I praise that! It is so true, what the bible says—the truth will set you free! Addiction breeds a life of lies and manipulation and evil. You know that, and you’ve admitted it to me. I do believe that sin separates us from God. When we finally learn to be honest with ourselves… we are being honest with God. I believe that God will bless us for that. I have personally experienced God's Grace and Mercy. I have learned to like the new “me”, now that I am trying to live my life with honor and integrity. Right now, I feel that my trust account with you is in overdraft. Somehow, I still feel as though I serve a purpose to you, as a mom, when you need something. My joy, as your mom, is to help you by sharing my wisdom in Life Skills. But, I feel as though it’s my checkbook that you rely on as my motherly help. I’ve done the best that I can, but I’m so nervous about believing your promises. I pray for you, every single day, without fail. But, right now, I am feeling beaten down and tired with your daily drama. I am already skeptical about you coming here for even a day. It would be smart for you to re-pack your boxes of things and to wash your clothes that is in my garage. I had fantasies of lovingly pressing them, and hanging them up for you. I visualize taking you back to the City, and spending a nice day with you. But, you pattern has been to shatter my hopes to do nice things for you. I have a fear that you’ll come down, and find all kinds of distractions and reason why you won’t take care of these responsibilities. I have a fear that your cell phone will keep ringing and you’ll need to run off to take care of something with “a friend”. Those kinds of calls put terror into my heart—I can’t help but wonder why you have to run off. I swore that I wouldn’t write you a long letter—but I can’t help it. There is so much pain, disappointment, hurt and fear inside me. I have bottled it up so well, that people marvel at how strong I am being. The truth is, I feel as though there is a dam inside me. I am the mother of an addict and I want my son back! I want that beautiful baby boy that I raised to morph into a young adult son who can focus on the most important priorities in his life—his recovery, a job, honesty and finding a way to manage his money. Your recovery should be the most important priority in your life. But, don’t forget that your friends and family love you, and have suffered through your addiction, too. We have been deeply wounded by all of this. Please don’t shove us way back in a closet, only to be pulled out when you need something from us. I believe in you, son. I only wish that you believed in me and my love for you. Every so often, I receive phone calls from family members or friends. They don't know what to say to me, when they read about my son's struggles to have a successful recovery from his opiate addiction. If you are one of them-- please know, that an email or a phone call is always welcome and appreciated. I know that what I am experiencing with my son is hard for many people to truly comprehend. I never thought that this would happen to me, either! It is my deepest hope that this blogsite might touch the hearts of parents who are going through something similar to mine-- or, better yet, that someone who is an addict might better understand how their "disease" affects those who love them. The other reason that I started this blogsite is for ME. Journaling is great therapy, you know. I type much faster than I can handwrite, so that is how I found this blogsite. Ultimately, when my son has long-term sobriety to claim-- and more maturity-- I hope to share this blog with him. Maybe, he can read it and get a feel for me. It is hard when someone, who doesn't know the truth about my son, asked me "how's your son"? What do you say? I don't want to tell ANYONE that he's addicted to opiates! So, I just give the standard answer, "he's great and lives in the Bay Area"... of course, I dread the follow-up question "what's he doing there"? "Trying to find himself", is all I can think of as my answer. For those of you who know my son, this blogsite is my way of updating you on what's going on. It's hard for me to talk about it-- not that I dont' want anyone to NOT ask about my son. I just don't like to relive all the sordid details. I know that my loved ones mean well, but I don't want for them to blame his father for my son's addiction. I don't want to blame anyone. Though B's dad and I have very different parenting and spiritual values-- he loves his son. I have to be really careful that I don't feed into the "blame frenzy". My loved ones want to do that. because they are being protective of me. I have found peace in knowing that God knows the truth. Today's update is simply that my son called me. Of course, it's always at my busiest time, at work. He was doing laundry and I sense some sadness to him. He doesn't sound happy. That's my motherly instinct. The "gyst" of B's 2-hour conversation was his admitting why he relapsed. I won't get into that detail, because that's highly person for him to share with me. I can say that it all made sense. But, shortly thereafter, he began to blame ME for his relapse! My husband, who sat quietly in the backseat with a book, heard most of that conversation. Later, he reassured me that was B's "addiction" speaking. He previously had a long-term relationship with a woman, who was an alcoholc. Like me, he devoted a lot of time and effort in counseling and reading books about co-dependence. He said that she would blame him, and everyone else, for her relapse. That's DENIAL. I always appreciate his insights and support. He has a lot of wisdom, and I know that he cares about B.
I am making progress, I call tell. In the past, my gut reaction would be to defend myself with a vengeance. This time, I let my son list all the things I did wrong and what I should have done. He backed up his blame game by quoting that his treatment center "laughed" when B told them how I was unwilling to let him live with me, when he got out of detox. Calmly, I countered to him that I did not let him come to live with me on his treatment center's advice-- we knew that returning to his home turf would be a recipe for relapse disaster. I reminded him of all the lies and manipulation he had put me through. He grew silent. Last, I reminded him that he was not left out in the cold. He got weekly allowances. I reminded him of my trips up there to buy him groceries, dishes and he was never left without money for food. He actually accepted that, and stopped blaming me. Then again, isn't the average teenager like this? Most teenagers are self-absorbed. It must be a teen hormonal brain wiring gene that makes them so selfish! Rarely do I hear a teenager tell me how blessed they are! Generation "X" doesn't have a clue on how blessed they really are! I was probably the same way with my own parents. I have a feeling that B sees me as a humorless mom who doesn't understand him. It's not that I don't understand him. I don't agree with him. The reason that my son and I are so different is that I really want to live my life in the "spirit"-- the Holy Spirit. I want to live my life to please and obey God. My son, at this time, is living his live "in the flesh". So, we are battling against our spiritual values. One day, I hope that my son will see that I am seeking to put my Old Worldly Self behind me. I want to be known as a woman of integrity, with a forgiving heart and who loves God. It's not easy to do, but it gives me peace. There is more to share, but I need to end my lunch break and get back to work. I will share more of my adventures with B, and our day in San Francisco, when I have more time to summarize what's going on with him. For now, he's living in a nice apartment in San Francisco. It's in a good area, where I feel safe walking around. He's not too far from Union Square and close to the Nob Hill area. It's a very small apartment, but it's cute and kept clean. A woman, and her adult daughter, are graciously letting B stay with them. B knows the mother from his treatment center. She has 15 years of sobriety, but she relapsed a few months ago. B's "plan" is to go to daily meetings with her as an outpatient at his treatment center. It sounds good. I am guardedly optimistic about this. B is saying all the right things. Now, will he "do" them? I need to sort my thoughts on, and I will blog about them when I have some peace and quiet. Happy Birthday, "B". You are 20 years old, today. This morning, I was stretched across my King bed. I have waited, for two weeks, for the luxury of sleeping in. My husband had just gotten out of bed. In the quiet of my room, I thanked God for giving me the gift of Motherhood. I lay there, thinking back to the day that my son came into the world. I had spent most of Halloween night, in labor. B came into the world close to lunchtime, the following day, after my labor was finally induced. I remember coming home with him, two days later. I didn't have a clue how to take care of a baby. All I knew, is that I got to be a stay-at-home mom, and I was immersed in learning how to care for him. B was as perfect a baby as I could have asked for. He slept through most of the night. We did the "Mommy and Me" classes, Gymboree, and play dates with his cousin-- who was just three months older than he. We were living in a home that I loved. We had a swimming pool, my horse barn and two horses. Life was good. I was the center of his universe, and he was the joy of my life. I recall that the challenges with my son did not begin until he was in middle school. But, that's another story. 8 Observe therefore all the commands I am giving you today, so that you may have the strength to go in and take over the land that you are crossing the Jordan to possess, 9 and so that you may live long in the land that the LORD swore to your forefathers to give to them and their descendants, a land flowing with milk and honey. 10 The land you are entering to take over is not like the land of Egypt, from which you have come, where you planted your seed and irrigated it by foot as in a vegetable garden. 11 But the land you are crossing the Jordan to take possession of is a land of mountains and valleys that drinks rain from heaven. 12 It is a land the LORD your God cares for; the eyes of the LORD your God are continually on it from the beginning of the year to its end. 13 So if you faithfully obey the commands I am giving you today—to love the LORD your God and to serve him with all your heart and with all your soul- 14 then I will send rain on your land in its season, both autumn and spring rains, so that you may gather in your grain, new wine and oil. 15 I will provide grass in the fields for your cattle, and you will eat and be satisfied. 16 Be careful, or you will be enticed to turn away and worship other gods and bow down to them. 17 Then the LORD's anger will burn against you, and he will shut the heavens so that it will not rain and the ground will yield no produce, and you will soon perish from the good land the LORD is giving you. 18 Fix these words of mine in your hearts and minds; tie them as symbols on your hands and bind them on your foreheads. 19 Teach them to your children, talking about them when you sit at home and when you walk along the road, when you lie down and when you get up. 20 Write them on the doorframes of your houses and on your gates, 21 so that your days and the days of your children may be many in the land that the LORD swore to give your forefathers, as many as the days that the heavens are above the earth. I am reminded that God entrusts us to raise his children to know the ways of the Lord. Have I done this? I can only say that I got a late start, but I've tried. I believe that my son has a good heart. He's struggling against the powers of temptation. He is 20 years old, today. Statistics say that at the age of 25, the brain finally develops common sense and maturity. So, does that mean that for the next five years that I need to pray for his safety? Of course, it does! I have no regrets about being a mom. Raising my son has been my greatest accomplishment. No, he's not perfect. I can't boast that my kid is an honor's student, valedictorian, or that he's going to an esteemed University. I can't boast that he's CEO of a company, or that he's a VIP for a company. It doesn't matter. What I know, in my heart, is that my beautiful baby boy is still there-- deep down inside. He has a demon that wants to hang on to his soul. But, I have the power of Jesus Christ who is much stronger than any forces of evil. I will never give up on my son. So, today, I have looked through photo albums of the times when my beautiful son had his innocence-- photos of him with his cousin, with his "Oma", in his Batman Halloween costume...in his little league uniform. He was a very happy little boy, and loved by many people. B is on his way to pick up the last of his things at his apartment in Benicia. Then, he's headed back here. Tomorrow morning, the plan is for me to take him to San Francisco. I am prepared to make it a great day at Golden Gate Park. He wants to visit the Planetarium. It will be our day, in celebration of his birthday. Thank you, Lord, for entrusting me with your child. I have done my best to teach him about you. Thank you for your grace, your mercy and your blessings that you have given him.